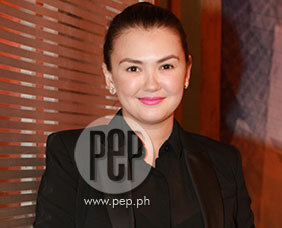 Angelica Panganiban excited to become Melason's ninang! During a break at the Banana Split's shoot, Angelica Panganiban talked to the press about Melai Cantiveros and Jason Francisco's baby. Later in the clip, she talks about her own future too with boyfriend John Lloyd Cruz.